Dysbiosis is a state in which there is an imbalance of microorganisms on or within our bodies. When in balance, these colonies of microorganisms tend to have a favorable effect on our bodies. When there is an imbalance, we may experience unwanted symptoms. 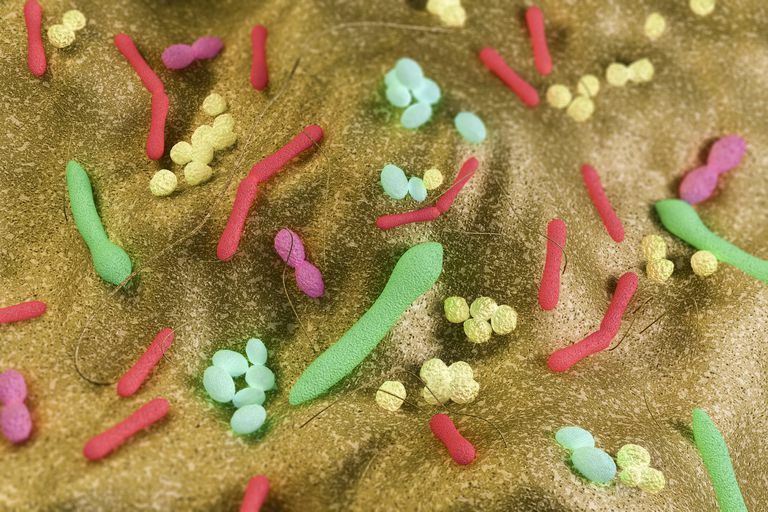 Gut microbiota dysbiosis, also known as intestinal or gastrointestinal dysbiosis, refers to a condition in which there is an imbalance of the microorganisms within our intestines. These microorganisms, collectively known as gut flora, consist predominantly of various strains of bacteria, and to a lesser extent include fungi and protozoa. The gut flora are essential for digestion and immune functioning. A state of dysbiosis, therefore, will result in digestive and other systemic symptoms. Dysbiosis reflects a change in the population of the various microbes, in that unhelpful microbes overpower those that are more beneficial. Unfortunately, this tends to have a snowball effect, as the lesser amounts of helpful microbes become less and less able to keep the "unfriendly" microbes from multiplying. Dysbiosis may also be the result of a change in the location of the various types of microorganisms throughout the intestines or a change in how they are operating. Dysbiosis can theoretically be improved through improved dietary and lifestyle habits, such as eating a balanced, nutritious diet and engaging in mind/body techniques for stress management. Some alternative health practitioners recommend the use of bone broth, but there is no clinical research to back up this recommendation. For people who have irritable bowel syndrome, there is a specific antibiotic named Xifaxan that targets dysbiosis in the intestines. As of now, this area of medicine is still in its preliminary stages. Clear information about improving dysbiosis and what effect that will have on health disorders are not yet available. However, this area of inquiry appears to be a promising one. Bull, M. & Plummer, N. "Part 2: Treatments for Chronic Gastrointestinal Disease and Gut Dysbiosis" Integrative Medicine: A Clinician's Journal 2015 14:25–33. Francino. M. "Antibiotics and the Human Gut Microbiome: Dysbioses and Accumulation of Resistances" Frontiers in Microbiology 2015; 6:1543. Galland, L. & Barrie, S. "Intestinal Dysbiosis and the Causes of Disease" The Environmental Illness Resource. Hawrelak, J.A. & Myers, S.P. "The Causes of Intestinal Dysbiosis: A Review" Alternative Medical Review 2004 9:180-197. Is Gardening Good for Your Stomach?